As my Ugandan colleague Andrew already indicated in his previous post, we had a very intense one week in Uganda in early July visiting rehabilitated boreholes and meeting with our in-country partners to assess the on-going works. I feel very lucky that I had a chance to see our projects on the ground and to be able to talk the communities. Some of them shared their joy about the clean water the boreholes have been delivering since the rehabilitation and some other provided invaluable feedback how we can improve the projects to make an even bigger impact locally. Following up the lessons learned during this trip, we are currently working closely with our in-country partners to launch a more participative WASH sensitization program. We are hoping that this sensitization programme will mobilize those communities too that seemed a bit more reluctant to engage actively in the projects and encourage those communities who have been doing an amazing work to keep the boreholes safe and running. The most rewarding part of the journey was to see that we are working in an area where these kinds of projects are very much needed. The decades long civil war has left the Northern districts without viable infrastructure for water supplies. Most of the population have relied on NGOs for years to provide the most basic services needed for their every-day life, however as the situation stabilized and international NGOs left, the government could not yet fill the gap in providing these services. It is great to see that through the carbon component we can commit to at least a 7-year period to maintain boreholes and to provide clean water services in Alebtong, Dokolo, Otuke and Kole. 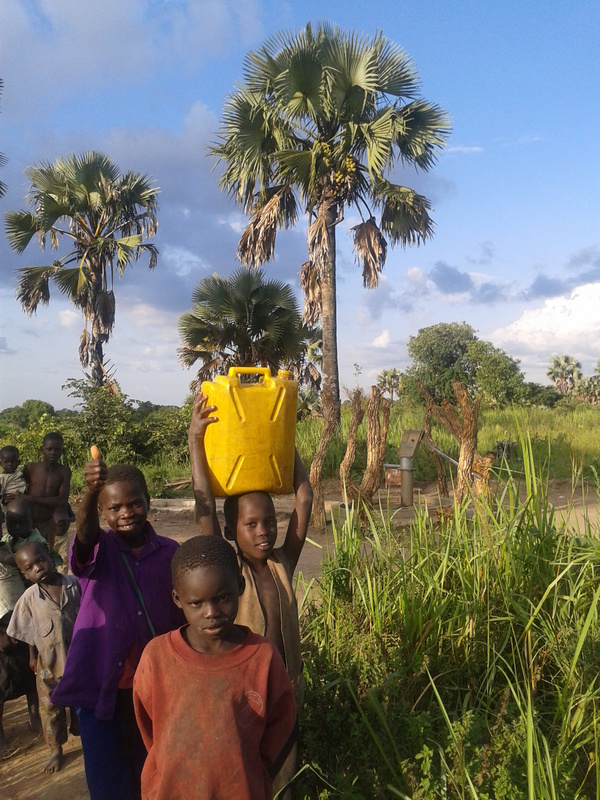 By involving the communities in the every-day running of the boreholes and providing education on WASH issues, we want to ensure the sustainability of the clean water supplies, not only during the lifespan of the project but hopefully well beyond. As Ellie already pointed out in one of the previous blog posts, travelling to the project sites and seeing our projects in action is definitely the most exciting part of our jobs. At the moment I am preparing for my trip to Uganda, where I will have the chance to meet with the communities in Alebtong and Dokolo where two of the CO2balance borehole projects are implemented. In the first half of the week we will go up-country and visit each borehole one by one while in the second half of the week we are heading to Kaliro to meet with our new project partner and to finalise the details of the upcoming stakeholder meeting. It will also give me and Andrew, our in-country coordinator the opportunity to discuss the ways we can improve the sanitation and hygiene component of the projects. As we received plenty of feedbacks from both local and international stakeholders on our boreholes in the past months, we are looking for the ways to incorporate their suggestions, best practices into our on-going projects, hoping to make the boreholes even more useful for the local communities. Busy and very exciting days to come; stay tuned for the next updates from Uganda!